If you love the Na'vi way of life, you'll love these books..
Theres 6 books in the series, starting with 'Wolf Brother.' They're set about six thousand years ago (i think ), when humans lived much like the Na'vi, and had a very close relationship with nature. The books basically follow the story of this guy called Torak (love how it looks like Toruk XD), and take place in the forests that used to cover our planet. Its amazing just how similar the 'ancient humans' in the books are to the Na'vi... for example, they all live in clans, respect an animal after they have killed it (like Neytiri does after killing the viperwolves), worship a 'world spirit', and many other little things like that. 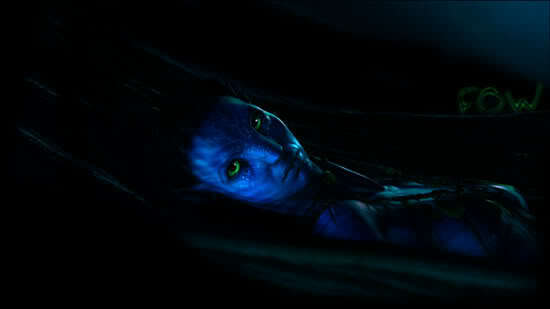 "We must learn again to trust when everything in our diminished lives says we can't"
"To watch Avatar is to dream lucidly, with your eyes wide open." But it's more of a teenage book imo, so I don't think it's a book for everyone, but don't let me stop you hehe They're great and I don't think one for fantasy/adventure should miss it! Last edited by LOVEavatar; 04-04-2011 at 10:58 PM. Thanks for the suggestion, I love to read and will definitely look into these. Interesting - where is it set? Given, uh, forests didn't ACTUALLY cover most of the planet, even six thousand years ago, but 'forests' isn't that descriptive. The cultures in Russia would be different from those in South America, for example. Last edited by LOVEavatar; 04-06-2011 at 06:33 AM. Yeah sorry, i guess i just assumed forests where everywhere.. when i wrote the OP i had no idea where it was set, to tell the truth But i've just had a look, and in the authors' note it says its' set in "a time when the forest covered the whole of north-west Europe", so i presume thats where its' set. *wry* Australia wasn't! Neither were the steppes, nor the deserts, etc. Anyway, north-west Europe makes much more sense. Hmm - sounds like fun books. I used to read something similar: Earth's Children - Wikipedia, the free encyclopedia - I loved these, though they were not so great in terms of spirituality but they seemed to be rather well researched in terms of archaeology. They are set about 30.000 years in the past. And actually the steppes and deserts of the world were not always at the place and size they are now at all. The Sahara desert was once forested for example and some places like the "fertile crescent" and the lands around the mediterranean sea lost their forests only due to deforestation and agriculture. The great steppes and deserts that are in the center of continents (Australia, Northern America, Central Eurasia) probably have been there a long time though, simply because of their inland location far from abundant rainfall. But Europe North of the Alps definitely was covered in forests and wetlands all over after the last ice age was over. Many places were assumed to be heavily forested but in fact were not - while they were more so than now, they were not as much as many people believe, Britain being a common example. Yes, the british isles have been quite a bit under ice up until some thousand years ago. I think there were forests replacing the ice only what - 10.000 years ago or so?